Finally, the moment you've been waiting for has arrived. 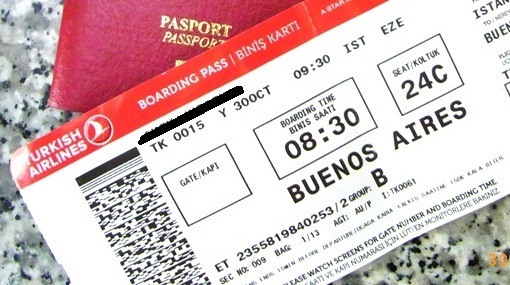 Half a year in the planning, they just gave you your boarding pass. You can't wait; you're off to Argentina! Yeah, I know that feeling; I experienced similar elations last October. Only difference was, I only had six weeks - not months - to prepare for my cultural exchange to South America under the Big Blog Exchange 2014. Having said that, what's there to prepare? I mean, by the time my day of departure came, everything (accommodation, itinerary, finances) had been meticulously-arranged for by the contest organiser, Hostelling International. Well, actually there probably were a couple of things which I could've better-prepared myself for before I boarded that flight to Buenos Aires; things which, had I known earlier, would've no doubt made my Argentinian adventure even more enriching than it was - and it's these that I wish to now share with you. Basically, they're a mixed bag of advice, insight as well as tips which I feel you might find useful (or at least, informative) especially if you're travelling to Argentina for the first time. Truth be told, I can think of at least half a dozen more useful pointers to dispense but, for brevity, I have chosen the following five which I personally opine are the most useful. 1. Brush up on your Spanish. 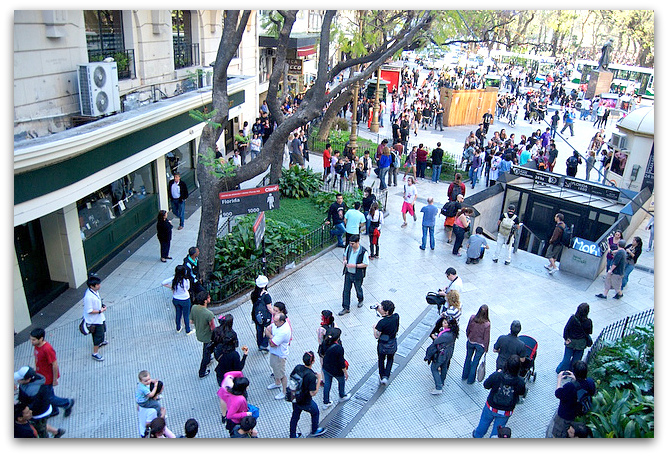 You'll be hard-pressed to find very many Argentines whom you can engage or communicate meaningfully with in English. Of course people in the service or hospitality industries are able to do so comfortably but, even so, I'd limit these to only the front desk staff of lodging places. I found, for instance, the level of English proficiency among many workers in local restaurants, fast food chains and coffee shops to be limited - in some cases, extremely so. 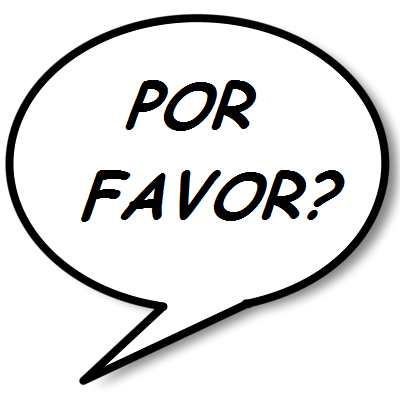 Mastering a mere handful of Spanish phrases (as I did) really won't get you very far either. You'll just have to do better than that in order to make yourself understood in Argentina. And here's a double whammy for you. It's not only about learning to speak the language; it'll help if you also learnt to comprehend replies in Spanish! 2. Social drinking of mate (pronounced "ma-tay"). 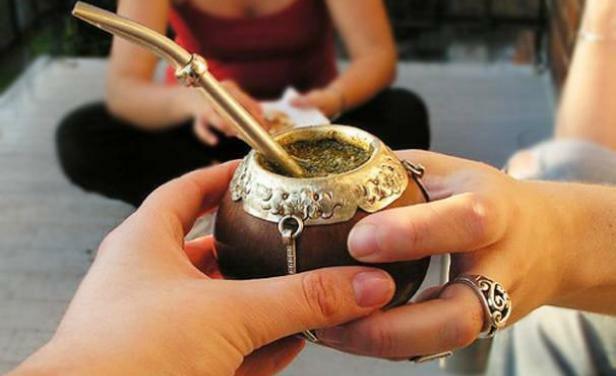 Mate is essentially a traditional caffeine-rich infused drink particularly popular in Argentina, Chile, Paraguay and Bolivia. Enjoying mate is an acquired taste; personally, I find it tastes something like very strong Chinese tea. Now here's the tricky bit; mate is commonly drunk in a social setting where the beverage is shared among family and friends in a circle. Note I said "shared". This is because the same mate gourd (cup) and straw are used by everyone who partake in the ritual. Now, this practice may not be everyone's cup of tea (mind the pun) but remember, when travelling, it's always courteous to respect the customs and traditions of other cultures. So when somebody offers you a mate in South America, do rise to the challenge; you're offered the beverage only because you're seen as a friend. Beba conmigo, mi amigo! 3. Taxis. Always agree on the fare before you board. Need I say more? On this note, I unreservedly recommend Tienda Leon for short journeys in and around Buenos Aires (including to/from both airports). For a small premium, you get excellent and, more importantly, reliable service. 4. Argentina is safe. Contrary to what I gathered off the internet or from hearsay, I found Argentina to be perfectly safe for travellers - even in Buenos Aires and Mendoza where crime levels are said to be especially worrying. Not for a moment on the few occasions when I was out for some late-night photography in both cities did I feel my personal safety under any kind of threat. So go.... enjoy the vibrancy of Argentina both by day and by night because this great South American nation unashamedly pulsates with life, vigour and activity 24/7. Just exercise vigilance as you would anywhere else in the world and you'll be fine. 5. Money matters. Since 2001/2002 when the Argentinian market experienced a meltdown, her government has introduced tough foreign exchange restrictions on its people. 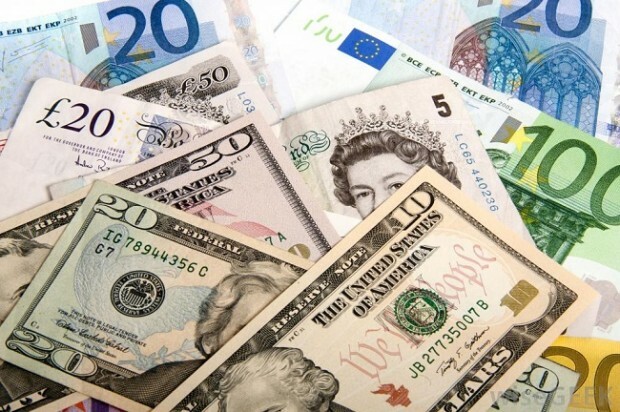 As a result, a black currency market has emerged and visitors today will find their greenback, Euro or Sterling Pounds going much further than they previously did. Let me elaborate. You can change your money at an official money changer for one price, or you can go to an "unofficial" trader and get it changed at what the locals call the "blue" rate - the latter being more favourable as it changes into significantly more pesos (I'm talking 40% to 50% here). So where and how do you find these so-called unofficial traders? 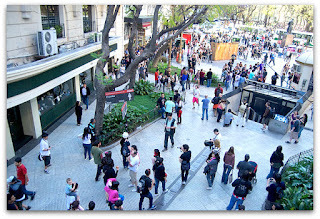 Simple; just head to any one of Buenos Aires' many shopping streets and respond to the not-so-subtle calls of "Cambio! Cambio!" by the numerous not-so-subtle black market traders. Whilst I'm not entirely sure, I can only assume that this practice is "tolerated" as there were police officers standing no more than 20 feet away! Having said that, at the end of the day, it is fundamentally illegal to trade "blue". Your choice, your risk.